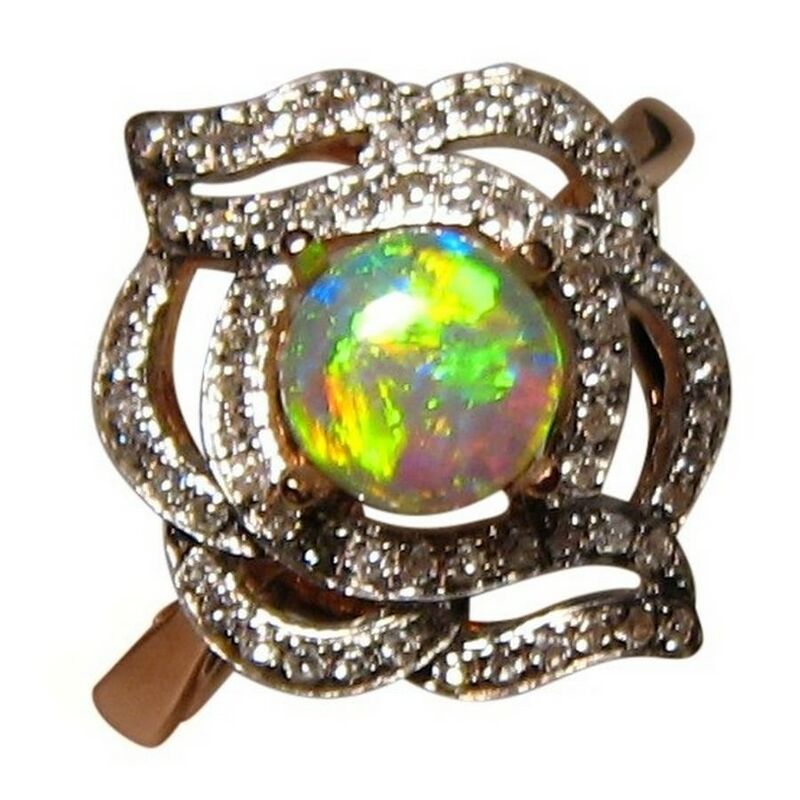 A stunning Opal ring with a colorful round Crystal Opal on a 14k Gold fancy ring accented with multi Diamonds. In stock and ready to ship. 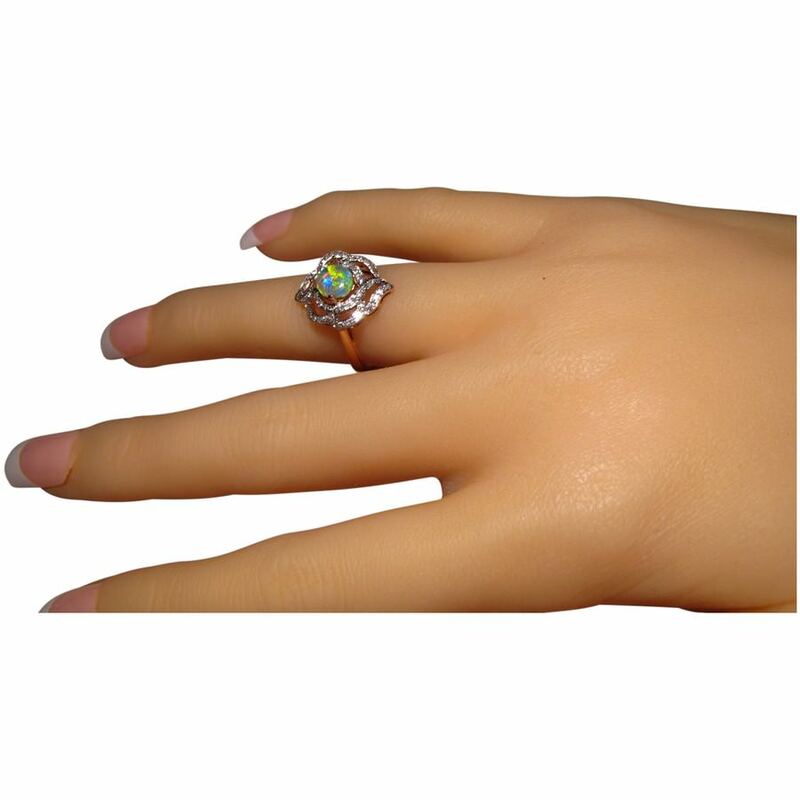 A fancy Opal ring that will stand out on the hand and will be admired. 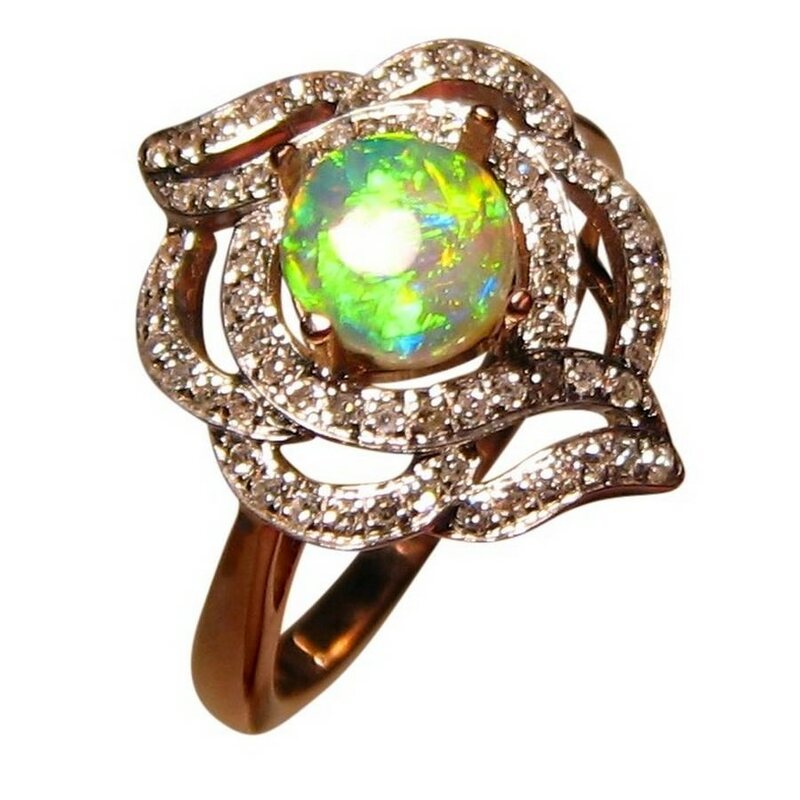 Shown in 14k Rose Gold, the ring features an almost round Crystal Opal that flashes very bright Lime Green and Yellow and is accented with a total of 70 bright white Diamonds. 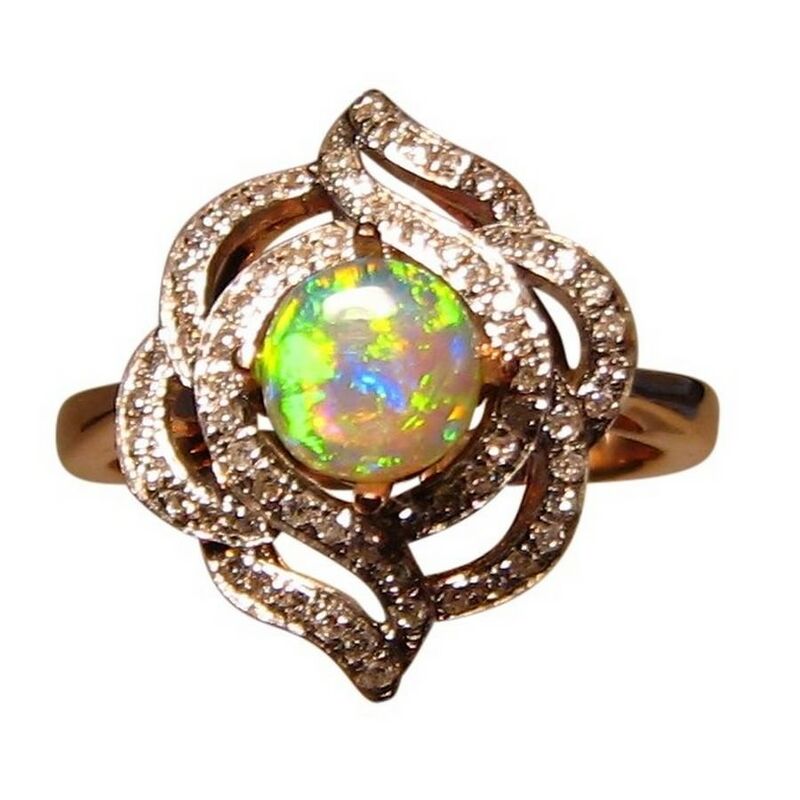 The ring weighs 4 grams of 14k Gold with the face of the ring measuring just over ¾ inch across so this ring is sure to dazzle and be noticed yet not be overwhelming. 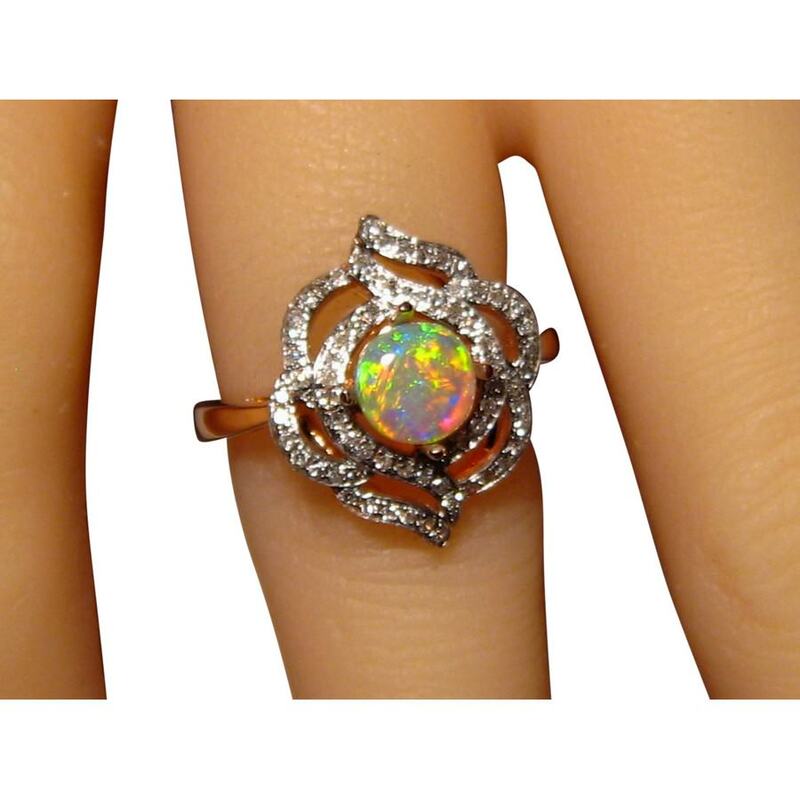 This beautiful Opal ring is ready to ship as detailed below or will take 14-21 days to make in any other ring size or change of Gold color. 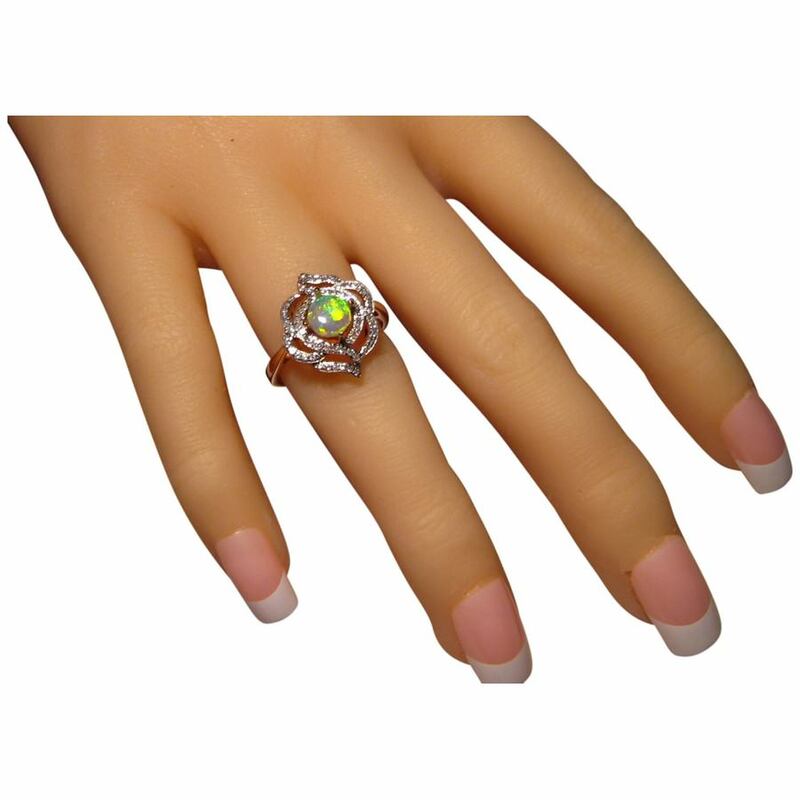 As the Opal is yet to be secured, you have the option of having it mounted into a different ring style you prefer if this ring is too fancy for you. Simply contact through the 'Ask a question' link above for assistance and a no obligation price. Oh, my eyes teared up just a little bit, it's that beautiful. I'm so excited! Thank you so much for your work and kindness!